The Tedeschi Trucks Band tour stopped in Victoria on June 29th to headline the TD Victoria International Jazz Festival. 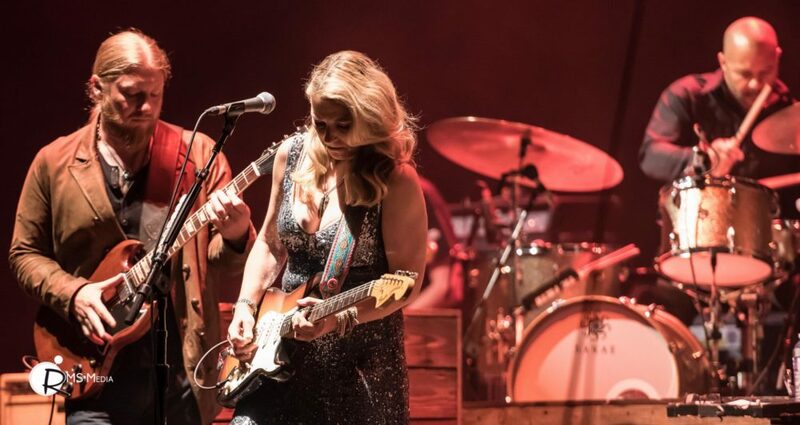 TTB is a 12-piece powerhouse of talent fronted by married couple Susan Tedeschi and Derek Trucks. The Victoria date marked their first official concert together here even though Trucks played the Victoria Jazz Fest in 2009 and brought up special surprise guest Tedeschi for a few songs. Trucks was a guitar prodigy who became a full-time member of the Allman Brothers in 1999 when he was only 20, Tedeschi was having a great solo career when they met at an Allman Brothers concert and later formed TTB, the rest is now music history. It was a night of standing ovations at the Royal Theatre, TTB showed that they are a force to be reckoned with. Fans were treated with two percussionists on full drum kits, a trombonist, a trumpeter, a saxophonist, three supporting vocalists, a pianist and flutist, a bassist and of course Trucks and Tedeschi. I now see why Derek Trucks is on Rolling Stone’s list of Greatest Guitarists of All Time.